We all know and love Southwest Airlines for their non nonsense approach to flying. 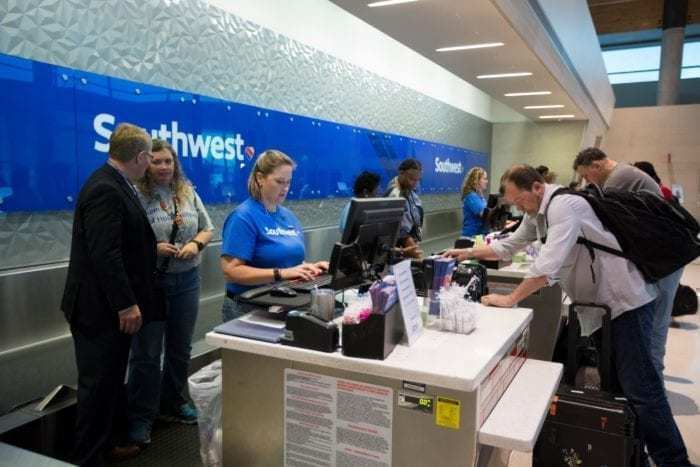 Their ‘no frills’ pricing makes them an attractive airline to deal with, but as times move on and pressures pile onto profits, could Southwest Airlines charges be about to go up? What have Southwest got in store for their revenue increase? 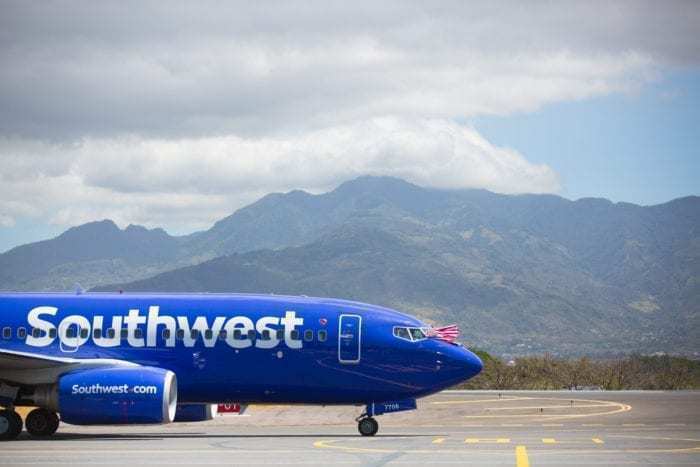 CEO, Gary Kelly, made our collective ears prick up recently, when he said new ways for Southwest to increase revenue were ‘under construction’. It makes sense for Southwest to increase revenue, given the current climate in aviation, but does this mean we’re about to see an end to the simplicity that we’ve grown to love the airline for? US carriers as a whole collected around $3.6bn in checked bag fees alone during the first nine months of 2018. Overall, Delta’s extra fees made up around 5.8% of their revenue, and United were closer to 6% during the period. In contrast, Southwest charges for so-called ‘ancillary’ items made up just 3.1% of their passenger revenue. If Southwest revenue is to increase, there’s a possibility they’re looking into adding some frills and charging for the privilege. This would be a good thing for those passengers who wish to have some more luxury on their trip, just as long as it doesn’t carve into the product the rest of us get. 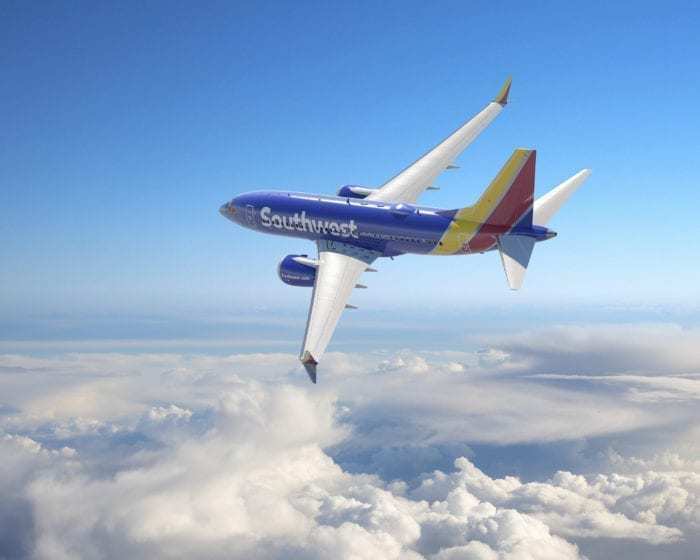 Southwest have already started making the necessary changes operationally to allow new revenue options to become possible. In 2017, they spent $500m to replace their aging reservation system, which now has the flexibility to include add-ons to bookings. When Kelly was pressed about things that are currently free and whether they might become chargeable, he was quick to allay our fears. Southwest Airline charges nothing for things like checked bags, assigned seating and reservation charges, and according to their CEO, it’s going to stay that way too. 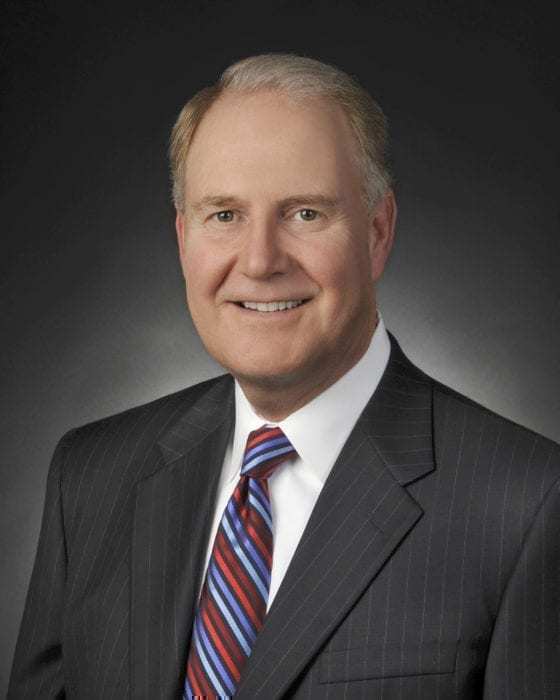 “That’s not what we do… [Southwest has]… better opportunities that fit our brand.’’ – Gary Kelly, CEO, Southwest Airlines. Kelly has previously made it clear that Basic Economy is not the way they want to go. American, United and Delta have all rolled out Basic Economy fares, which basically take away all the privileges usually afforded to travelers. A BE ticket means no seat selection, no snacks and potentially no overhead bin space – eek! Thankfully Kelly has confirmed that this is not the way Southwest want to go. Basic Economy? How about some Basic Compassion? No fees to change your flight, check your bags, or have fun on your flight. So, what could they charge for? Although Southwest are quick to shout about their free checked bags policy, they don’t tend to talk so loudly about the fees they collect from passengers. However, they do have to report them to the US Department of Transportation, and the numbers are in. During 2018, the carrier netted $643m in passenger fees, up from $566m in 2017. One of the products which added to this total was Business Select. Business Select is pretty much a priority boarding level of ticket. As well as guaranteeing priority boarding, it also offers faster ticket counter lines and a premium drink on board. They could look to add to this product, aiming for more of a premium economy or ‘business class lite’ product. 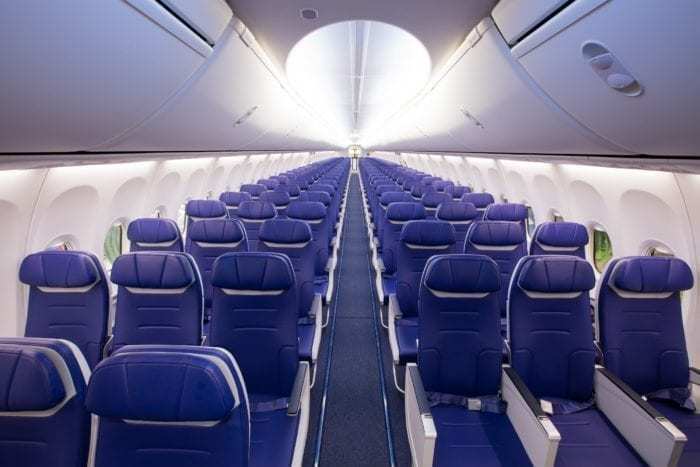 Although the airline has already dismissed the idea of offering a business class cabin and isn’t expected to add extra legroom seats on any of its aircraft, they already have a sort-of premium economy section. The first couple of rows could be sold as premium seats, appealing to business travelers who don’t fancy standing in line to board or disembark. The other Southwest revenue maker is the airline’s 10 year old EarlyBird Check In product. This costs the passenger between $15 and $25 each way and allows them to get a higher position in Southwest’s boarding queue. When you’re flying Southwest, this is crucial, as the airline doesn’t assign seats, so if you want a good one, you need to be first. The airline hasn’t disclosed the amount made from EarlyBird in 2018, but in 2017 it was $358m, or 63% of the total. Extrapolating from that, it would put their 2018 figure at somewhere around $400m. Already the Southwest charges for EarlyBird boarding have increased; back when it was launched it was a flat $10, and until last August it was $15. Variable pricing, they say, has allowed them to maintain the value of a popular product. Perhaps we’ll see more of this type of thing, where perks are offered at standalone prices, without reducing the product on offer to the regular traveler who doesn’t want to upgrade. Are Southwest right to look to increase revenue? Absolutely. What we love about this is that they’re not threatening to hike fares, nor are they saying that we’ll all have to pay just to get the basic amenities we’re used to when flying Southwest. In a way, Southwest has almost been held hostage over their legacy as a no frills airline with no hidden costs. Diversifying and offering ‘extras’ to maintain a profitable business makes perfect sense. To do so without harming the basic product is even better. We’re looking forward to seeing what Kelly has ‘under construction’ and to see how it pans out for Southwest in the long run. Just an fyi, but I’ve flown Delta’s BE a few times now (when I’m paying the tab) and do get snacks like everyone else in coach, and have not had a problem finding overhead space. Seat assignments are available 24 hours prior to departure, which is still better than waiting until onboard to see what’s still open, and for a short hop of 1-2 hours, I don’t really care where I sit. I still get DL miles and pay with my DL AMEX card for more miles still. It may not be fancy, but it’s fine by me. Sounds good. I’m flying United BE in a week for the first time (long haul too) so am looking forward to seeing what you get for the very cheap fare I paid.